EpandMedia produced a several radio ads for Louisiana Senator Mary Landrieu’s re-election and her advertising team at Squier Knapp Dunn. The series of ads deal with a wide range of issues surrounding the Louisiana Senatorial campaign . 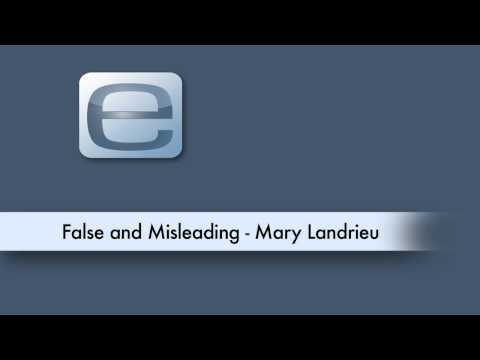 “False and Misleading” underscore Landrieu’s successful record of crossing party lines to deliver for Louisiana, plus her support of jobs, development, and energy independence for Louisiana through offshore drilling, alternative energy, and shale oil exploitation. The ad also criticizes Kennedy’s record of opposing off-shore drills and alternative plans. EpandMedia Produced the radio ad “Circus Tent” for State Senator Tim Kennedy. Kennedy defeated Republican Jack Quinn to claim New York State’s 58th district. Kennedy edged Quinn out by a mere 2% “Circus Tent” focused on dysfunction in New York State government, such as pork barrel spending and corrupt officials. Jack Quinn was part of Albany’s “dysfunction circus” whereas Kennedy is fresh faced outsider who could bring change to Albany. Len Epand produced “Circus Tent” for Berlin Rosen, the consulting company than ran the Kennedy campaign. EpandMedia has completed producing the TV ad campaign for Bloomberg For Mayor 2009 in conjunction with ad agency Squier Knapp Dunn Communication. The ads helped New York City Mayor R Bloomberg win a third term victory over Democratic NYC Comptroller William Thompson. The victory was considered significant as the mayor faced an anti-incumbent atmosphere similar to that which brought down New Jersey Governor Jon Corzine. The campaign was led by Chief Consultant Bill Knapp, with support from Creative Director Matt Herath, Producer Len Epand, Executive Producer Damon Miranda, and consultants Keith Kincaid and Sally Francis. EpandMedia also sound designed and mixed all of the ads, and produced several radio ads. EpandMedia produced radio ads for West Virginia Senator Jay Rockefeller’s 2008 reelection campaign. In a break from EpandMedia’s modern approach to ad production, “Faith” features a simple soundtrack and series of matter of fact yet effective statements by Senator Rockefeller. A member of the Senate since 1984, Jay Rockefeller won this reelection by a substantial margin.